WINNING was the primary aim but each Clare footballer had personal targets in mind when they left the Crown Hotel in Cricklewood on Sunday morning. Putting two points on the board was the priority but knowing that, individually, they had covered the requisite ground and put in an acceptable amount of tackles was at the back of every player’s mind. “We said coming over that it was more of a test of how honest we were going to be, rather than just going over playing London. Every day what we try to do is set our own goals. If we can match them, then more than likely we’ll come out on top. 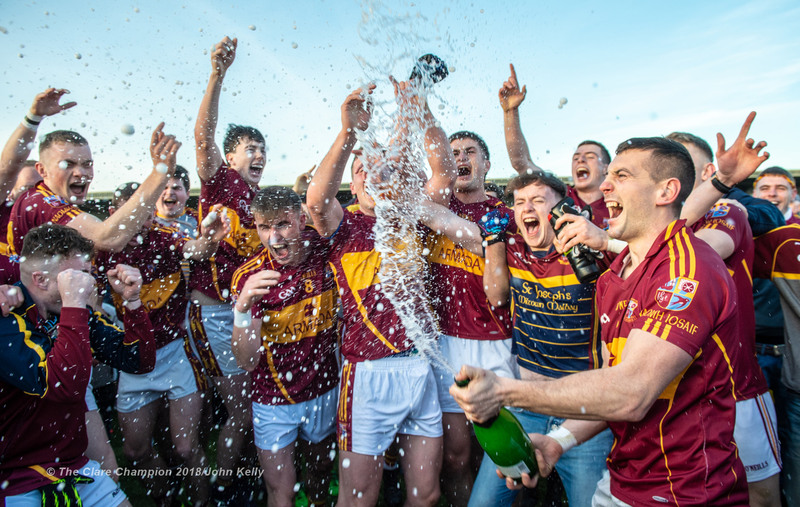 It’s not a case of who you’re playing anymore, it’s more trying to beat what you aim for yourself,” Clare corner-back Martin McMahon told The Clare Champion in Ruislip. “We’ve two good lads there on stats and at the end of the day, stats don’t lie. If you don’t put in your hits or your tackles or if you’re not being honest, you’re not going to win anything. That’s what we’re trying to do every day we go out, be as honest as possible. “The majority of days the scoreline will take care of itself. 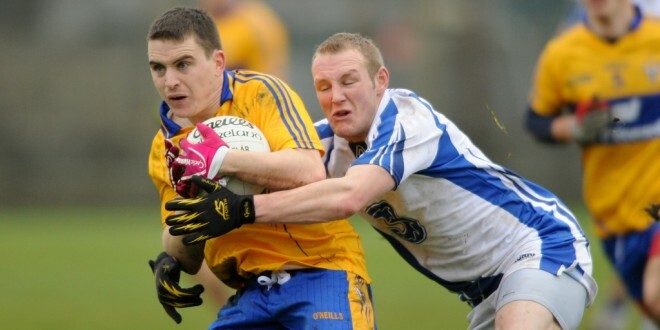 Even looking back to the Leitrim game, in the first half we weren’t really putting in the tackles. We’re weren’t doing what we should have been doing and it showed. In the second half, we changed it and got a result. We said it was very important in the first half that we were going to go at it and thankfully it worked out well,” he added. Shortly after the 70 minutes concluded, Clare started talking and thinking about Sunday’s home game against Wicklow, who have won both of their games to date. “The way we’re looking at it now is that this game is done and parked. We’re doing a video session now and then this game is gone and on to Wicklow now the next day. 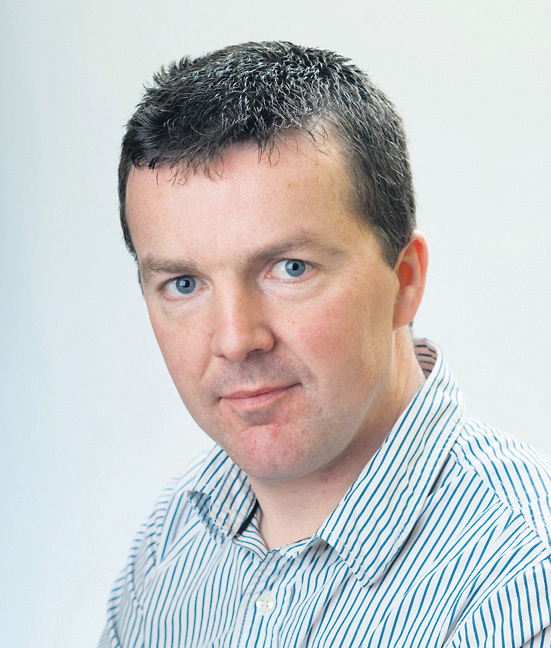 That’s the way we are every day,” the Kilmurry Ibrickane defender said. McMahon couldn’t help but notice, when scanning the match programme, that much of the Clare panel pictured are no longer in the squad. “I was looking at the picture in the programme and there’s 12 in that panel that are not there now. That’s a big turnaround on a team. We’re all gelling together but it was still nice to go in seven points up at half-time. “It was good to get a nine-point victory because with the way the table is shaping up, scoring difference could count in the end,” the school teacher predicted. McMahon feels Clare’s ability to master the breeze, while playing into it, is down to a bit more composure when playing into the elements. “If you look at the three games we’ve played so far, I don’t know what it is but with the wind, we’re kicking it away. Maybe we’re not playing the ball into the right areas. I think we kicked a few wides and we kicked the ball away because we probably think that just because we have the wind ‘I’ll be able to kick it 50 or 60 yards’. Whereas against the wind, we seem to work it better. We’re better running with the ball and we bring it into the scoring zone to make sure. No-one wants to be shown up and kick the ball away, especially against the breeze. It’s just the way we play and hopefully it keeps working for us,” he said. Clare kicked six first-half wides but also put over some good points, including a monster from Dean Ryan, who was attacking from corner-back. “With Éire Óg he was playing around the middle. Maybe it was just a fong of a shot, hit and hope but every one of them count,” McMahon laughed, noting that Clare kicked some impressive scores. “Tubs [David Tubridy] got a great score, as did Gary [Brennan] but in the second half, Shane McGrath hand-passed two or three over the bar. We opened them up and maybe the only thing we could have worked on was we had three or four goal chances and we should have finished them. That’s what the top teams are doing, they’re sticking them in the net. We’re not the finished article, far from it but a win is a win. We’ve got five points and it’s all about next Sunday. We’ll get that done and we’ll worry about Tipperary the week after that,” the battled-hardened corner-back concluded.